“Easter ceasefire”. Last week in Minsk, the Trilateral Contact Group on the conflict settlement in eastern Ukraine agreed that the complete ceasefire is to come into effect in the combat zone starting from April 1. 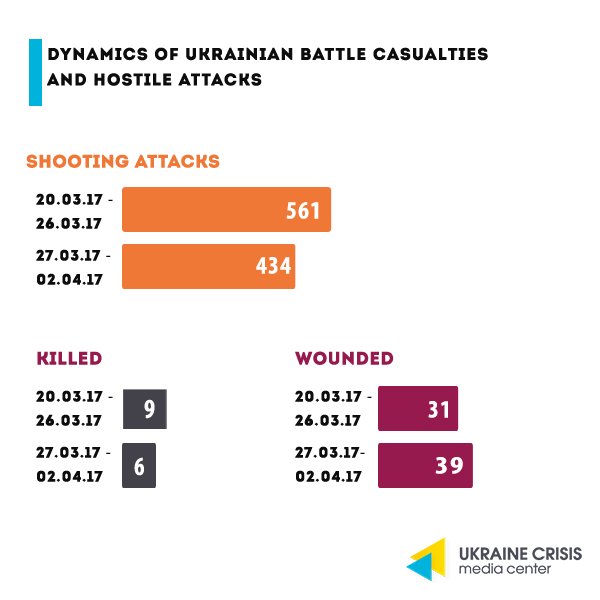 Still the Ukrainian side keeps registering ceasefire violations, though the intensity of attacks has decreased. OSCE. Last week the number of ceasefire violations registered by the OSCE Special Monitoring Mission to Ukraine increased by 60 per cent. OSCE also documented the use of multiple rocket launchers, artillery and mortars. Exchange of prisoners. Ukraine’s representative to the humanitarian subgroup within the Trilateral Contact Group Iryna Gerashchenko said that among the persons, who fought on the militant side and were detained by the Ukrainian law enforcement, there are those, who refused to get swapped and return to the occupied areas. UN Human Rights Monitoring Mission in Ukraine is to document the refusal. Citizenship in exchange for combating at war. Local people in the “L/DPR” are encouraged to enlist in the militant ranks in exchange for the Russian citizenship, reports Main Intelligence Department of Ukraine’s Ministry of Defense. The Ukrainian intelligence also reported a new ongoing campaign set to recruit the locals into military service to the so-called 1st and 2nd army corpses deployed to Donetsk and Luhansk regions. Russian officials visit the LPR. A Russian official, president Putin’s ally supposedly visited Luhansk last week. According to the news agency OstroV it was Putin’s press-secretary Dmitry Peskov, according to Ukrainska Pravda it was Putin’s adviser Vladislav Surkov. Both media referred to their sources within law enforcement agencies. The possible aim of the visit, as reported by the media, was alleged change of “LPR” leaders. 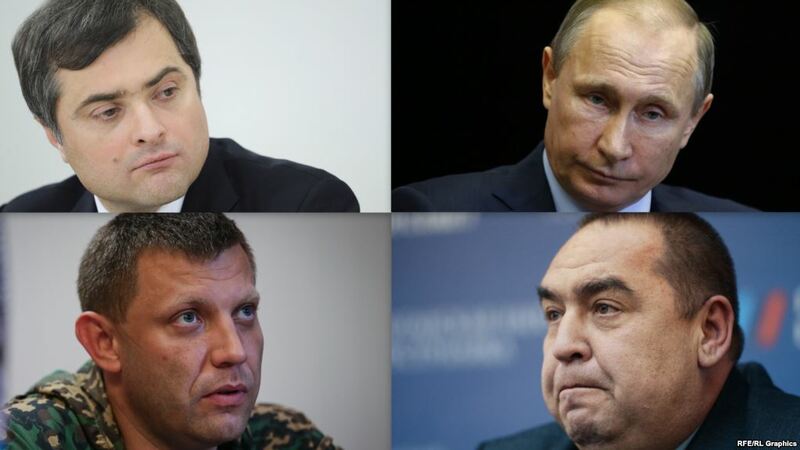 According to political experts the Kremlin is considering scenarios under which the leaders of the “LPR” and “DPR” can be soon changed. Planned substitutes may become the candidates whose reputation has not been stained by war and with whom Ukraine might negotiate. Upshots of trade blockade: what is happening on the grounds? The blockade caused difficulties for Rinat Akhmetov’s enterprises. But are businesses in government- controlled territory equally affected? Avdiivka Coke Plant is on the brink of survival. Avdiivka Coke Plant belongs to Metinvest BV. Its main shareholder is Rinat Akhmetov. Coal, which was taken to the plant before the conflict, is currently produced in separatists-held territories. However, the trade blockade of Donbas has finally suspended these supplies. Musa Magomedov, General Director of Avdiivka Coke Plant, told DW, that 2 blocks of the plant stand idle and some systems do not operate due to the lack of coal, which was previously supplied from the occupied territories. The industrial output of the enterprise contracted to 5,000 tons of coke per day instead of 10. Some of the staff do not work full time (get 2/3 salaries) and after repairs are completed, even more people can face downtime. 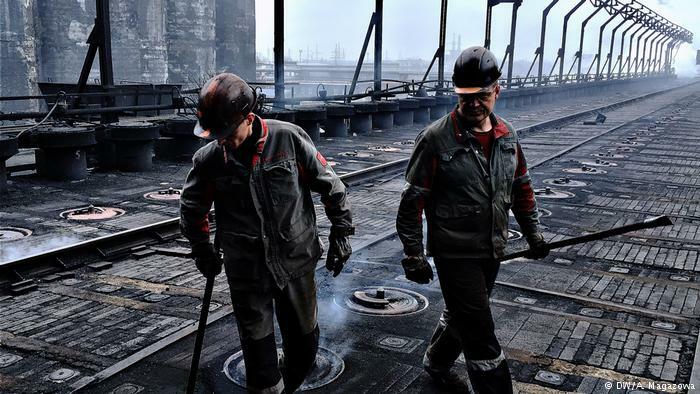 Azovstal Iron and Steel Works in Mariupol: industrial growth. According to Radio Svoboda, Azovstal, conversely, has increased metal smelting (from 27 to 40 tons per day). This happened due to coal supplies from Russia, according to representatives of the enterprise trade union and ATO veterans from Mariupol. Contrary to the decision of the National Security Council and the President, Russian coal-loaded barges enter Azovstal port. You can trace the ships in the Azov Sea here. Local activists believe that this coal is from the “DPR”. Threats from EBU. EBU Director General Ingrid Deltenre wrote a letter to Prime Minister of Ukraine Volodymyr Groisman warning that Ukraine can be excluded from future competitions if the Ukrainian government does not allow the Russian contestant Yulia Samoilova to enter the country. In addition, she told the Ukrainian Prime Minister that some of the participants may consider leaving the contest. “No previous host country has prevented an artist performing at the Eurovision Song Contest and the EBU would not like a precedent to be set in 2017. We consider the current ban of the Russian singer as unacceptable,” the letter says. Reaction of Ukraine. 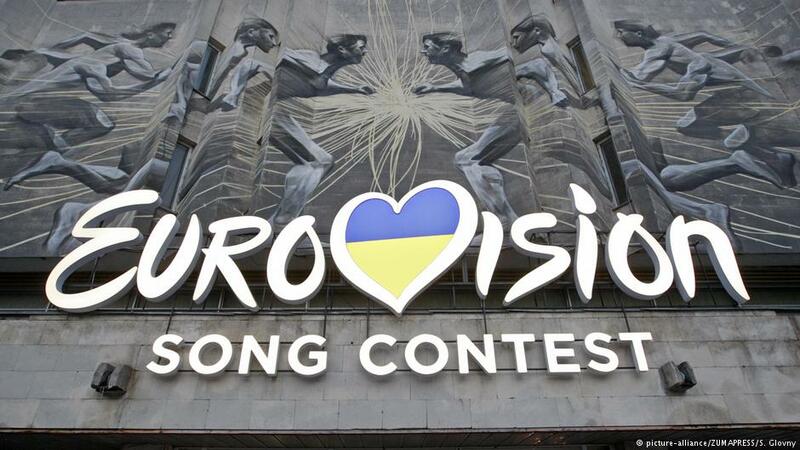 Vyacheslav Kyrylenko, Vice Prime Minister of Ukraine, stated that Russia can participate in the Eurovision Song Contest-2017 in Kyiv, if it sends a participant who has not violated Ukrainian laws. To recall, on March 22 the Security Service of Ukraine banned the Russian contestant Yulia Samoilova from entering Ukraine for three years. They explained that the singer had visited the annexed Crimea territory in 2015 and thus violated the Ukrainian law. 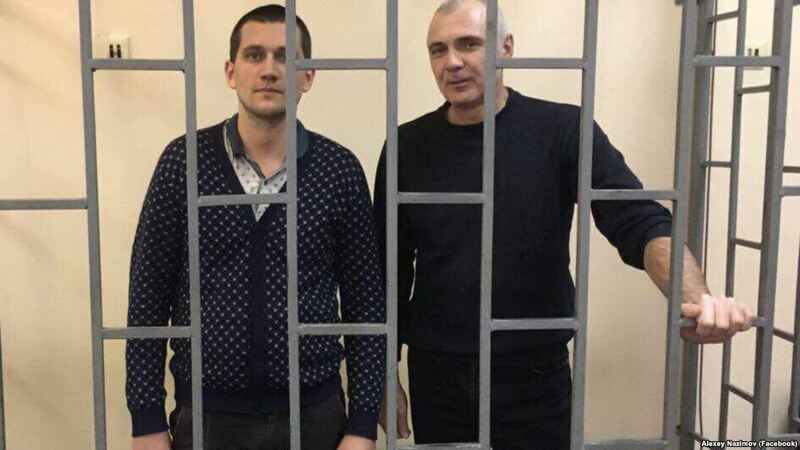 Crimea announces that on April 3 Alexei Nazimov, blogger and editor of “Your Newspaper” from Alushta, will go on trial. The journalist himself wrote about this on his Facebook page. Nazimov was arrested October 4, 2016 while passing money that, according to investigators, was to be a reward for non-disclosure. Earlier Nazimov went on a hunger strike in Simferopol pre-detention center, which has lasted for almost 10 days. Nazimov’s lawyer stated that law enforcement bodies officially recorded the fact of fasting only on the third day and do all to ignore it. On April 1, the National Commission for State Regulation of Energy and Public Utilities set a fee for connection to the gas supply system. This is an expected step. Within the framework of reforming the gas market consumers will pay separate fees for the infrastructure (pipe), and for gas as a commodity. Although they pay for these fees now, the funds are distributed automatically. Advantages of innovation. Organizations engaged in gas economy will be able to get money for maintenance and modernization, while consumers (theoretically) will be able to choose a gas supplier. The reform is designed so that gas supplies can be changed as easily as mobile operators. However, the gas market has not yet progressed to this point (and it is unclear when it will do this). Disadvantages of innovation. The yearly average charge for gas consumption almost will not change for owners of private houses equipped with combination boilers. There are more than half such consumers in Ukraine. Instead, the average monthly charge for residents of apartment buildings who use gas stoves without meters will increase three to five times. There are about 40% of such consumers in the total number of domestic households. This will obviously create social tension. Who owns the gas distribution companies? More than 70% of gas distributors, which will receive a fixed monthly fee, are managed by Regional Gas Company (RGC) of oligarch Dmytro Firtash, who is currently under arrest in Vienna. He is accused of bribery to obtain a license to develop titanium ore in India. The RGC officially includes 16 regional gas companies. Another 12 gas distribution companies are owned by Firtash associates or his former managers. The list of beneficiaries of Firtash’s gas distribution business includes Serhiy Lyovochkin, MP from the Opposition Bloc (OB), his sister Julia, Ivan Fursin, MP from OB, and Yuri Boyko, OB head. This year, the total revenue of regional gas companies from the customer should reach 24.15 billion UAH. Ukrainian premier of the documentary “Jamala.UA” is scheduled on April 6, in one week the film about the Ukrainian singer Jamala will be out in cinemas across the country. The film is directed by Ukrainian Anna Akulenvych. Work over the documentary was started before it became known who would represent Ukraine at the Eurovision 2016 in Stockholm. The film embraces the period from the start of preparations to the song contest until a few weeks after the event, when Jamala returns home with the victory. “Jamala.UA” will be screened with English subtitles on May 4-6 in Kyiv as part of the official Eurovision events. Film trailer. Ukrainian women team won first place in the team event of the European Wrestling Championship among athletes aged under 23, held in Hungary. Ukrainian athletes won five medals: two gold, one silver and two bronze. Liliya Gorishyna (under 53 kg) and Tetiana Kit (under 58 kg) won golden medals; Ilona Semkiv (under 48 kg) won a silver medal; and Oksana Gergel (under 60 kg) and Iryna Pasichnyk (under 75 kg) won bronze medals.